BENGALURU: If you binge watch on RuPaul’s Drag Race and know how to lip sync for your life, then hold on to those fake wigs and get that contour on, girl. A drag queen race could soon be a reality. 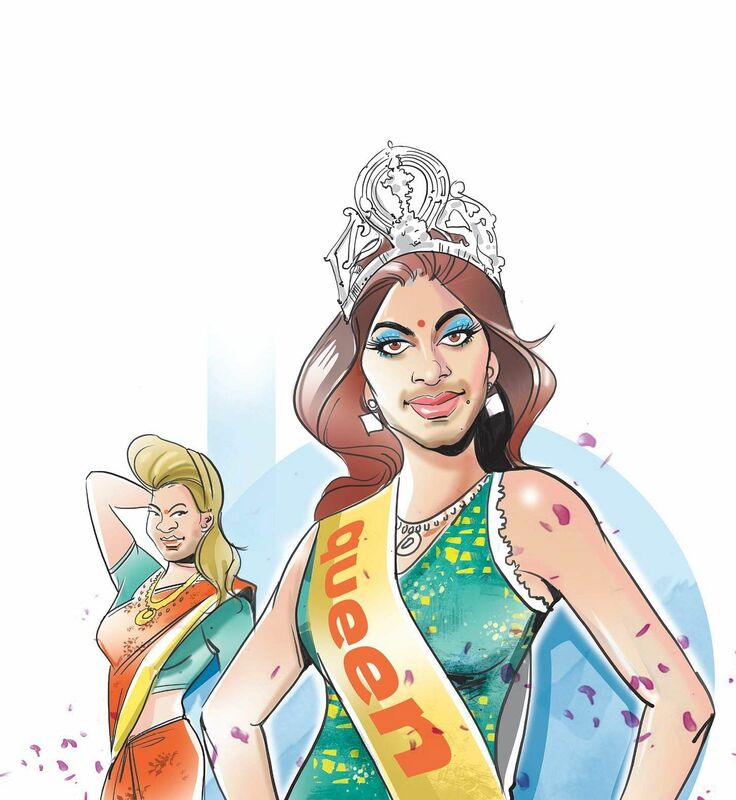 “This will be India’s first drag queen race which will be broadcast in the format of a web-series,” says Shubham Mehrotra, founder of Bengaluru-based Fifty Shades of Gay (FSOG). Shubham confirms that it will be on the lines of what one sees in RuPaul’s show, but it won’t be a copy of it. All the drag queens would have to make their own outfits, show their talent and take up several challenges and tasks in the show, informs Shubham. “We want to show to the audience that this isn’t just about a man dressing up as a woman, but a lot more than that,” she says. One needs to have talent, good content, a fashion sense and know how to groom oneself to be in drag. The show will be educative to the Indian audience that often confuses the performance art with cross dressing, feels drag performer Alex Mathew. He performs as Maya the drag queen at cultural spaces in the city. “They tell me, ‘Oh, drag is not mainstream yet’. I respond, ‘at least give me an opportunity to show you what it is’,” he says. Alex says he will be helping the team at FSOG with the race. “It shouldn’t be a pageant contest. The show will set the record straight on drag being a performance art just as Kathakali is,” says Alex. He hopes that with the awareness the show brings, there will be more drag queens in the city. “I don’t want to be the lone person out there performing,” he adds. Is he looking forward to some RuPaul style sense of humour on the reality show? “Definitely. It is like how RuPaul says, don’t take life too seriously,” says Alex.The reality show will be available on a live streaming channel online.Shubham is currently in talks with a few celebrities who will be on the judges panel.“We have shortlisted a few celebrities who will be regulars on the show. Some have expressed their desire to make brief appearances. We actually have got a very good response from Bollywood,” says Shubham.The auditions for the show will stream live starting this September. She started the FSOG campaign in 2016, in the hope to humanise the LGBT population, raise awareness and bridge the gap between the queer and the heterosexual majority. “Last year, we initiated some of India’s first of its kind campaigns such as: I AM AN ALLY,” says the Bengaluru-based entrepreneur and equal rights activist. This was a national drive to engage with the heterosexual majority to foster mutual support for equal rights. “On July 1, we started ‘The Rainbow Wire’ which features daily LGBT news from around the world,” says the 24-year-old, who has also lived and worked in the UK, US, Malaysia and China. The team operates in over 24 states in India, China, Germany, Canada, Australia, US and the UK. “We’ve published over 350 stories of discrimination, love and survival, and helped hundreds of Indians living across the world with psychological help and legal advice,” says Shubham. She claims the team has helped families of LGBT children to understand and learn about alternative sexualities so they can fully support their LGBT children. “We did that by providing basic LGBT information, sharing some critical research that showed homosexuality and transsexuality are perfectly natural, and that families have a major impact on their LGBT children’s health, mental health, and well-being,” she explains. The team also gave families and LGBT youth hope that ethnically, religiously and socially diverse families, parents and caregivers can become more supportive of their LGBT children, she adds. In 2015, when Shubham Mehrotra was in China, news of hate crimes against the LGBTQIA community bothered her so much that she returned to India that very year and started a campaign to address it. “I realised that they suffer human rights abuse both at the hands of the state and the society,” she says. 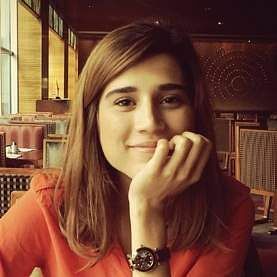 “In fact, a very high percentage of the heterosexual population in India considers homosexuality a mental illness and there seemed to be a lack of organisations that provided a space to explore your understanding regarding alternative sexualities,” she adds. Since their inception in February 2016, Fifty Shades of Gay (FSOG) claims to have helped LGBTQIA people from all over India with psychological as well as legal advice. For instance, sometime around the end of last year, the team helped a young boy from Chennai serving his term in prison for being gay. “Earlier, kept under house arrest by a neighbour, the boy, who was tortured and raped for two long years, successfully ran away and ended up at a police station,” says Shubham. Thinking the police would be his escape, he instead ended up behind bars due to Indian Penal Code’s Section 377, she adds. “He somehow got in touch with us through our page (50shadesofgayofficial) on Instagram and sent us photographs as proof of his abuse and other details. Immediately, our legal and health advisory team sprung into action and got him bail within seven hours,” informs Shubham. There was another instance in Delhi, where parents of a 16-year-old found out about his sexuality and his father asked him to “go f**k prostitutes” so that he could ‘cure’ himself, says the founder of FSOG. “The young boy wrote to us for help. He believed that he had a mental problem. We not only answered all his questions about how he felt, but also got him a free counselling session with a psychologist in Delhi,” she says. Since then, he has come out to his friends and hopes to come out to his family as well, says Shubham. While LGBT people are as diverse as the rest of the population, they often share a common experience of stigma and discrimination, creating common health issues, says the Broadcast Journalism graduate from University of Leeds. “In India, there is limited information available on health care risks within the LGBT community, as we don’t recognise them and most studies and surveys do not usually address sexual orientation or gender identity,” she says. Section 377, social stigma, discrimination and the ignorance of their civil and human rights prevent a lot of people from identifying themselves as lesbian, gay, bisexual, or transgender, she adds. “A huge percentage of queer people do not seek health care and are therefore not included in health studies,” she says.There’s an invisible epidemic of depression and suicidal tendencies among the LGBT youth in India, observes the 24-year-old. “The confusion begins at adolescence... When they are older, they read and learn more. But often, this leads to a tiff with the family - they either leave or hide their sexuality, both of which can cause mental as well as physical health problems, she adds.